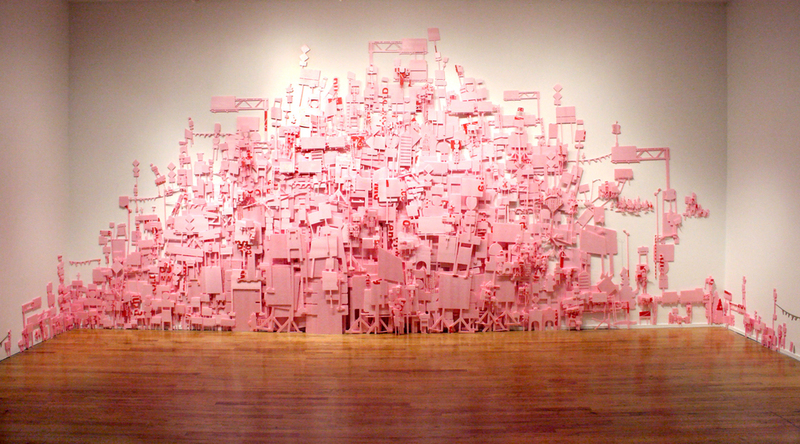 Silhouettes of road-side signs, highway pylons, parking lot trees and other peripheral roadside structures were digitally drawn and laser cut from pink insulation foam, then layered to make a dense pink thicket. These assembled in a heap from floor to ceiling, sometimes revealing the manufacturer's imprint as fragments of red text. 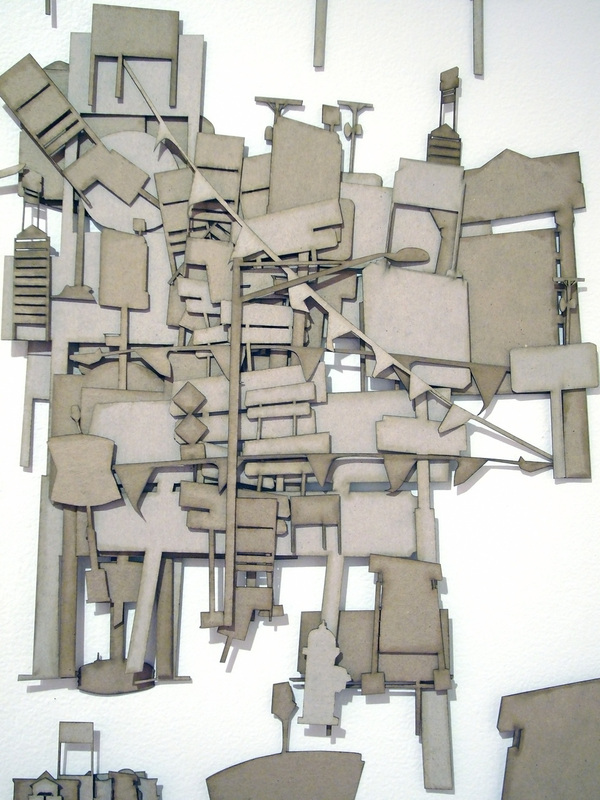 The foam tapered into an edging of burnt-edged chipboard constructions.